For years, Renzo Piano has been working to complete his design for the Stavros Niarchos Foundation Cultural Center in Greece. Not, the cultural group behind the project has announced that a key component of the Visitor’s Center, the energy canopy, is now complete. Suspended over the Greek National Opera, the canopy is composed of 30 columns and 717 individual precast pieces—weighing in at 4,700 tons overall. 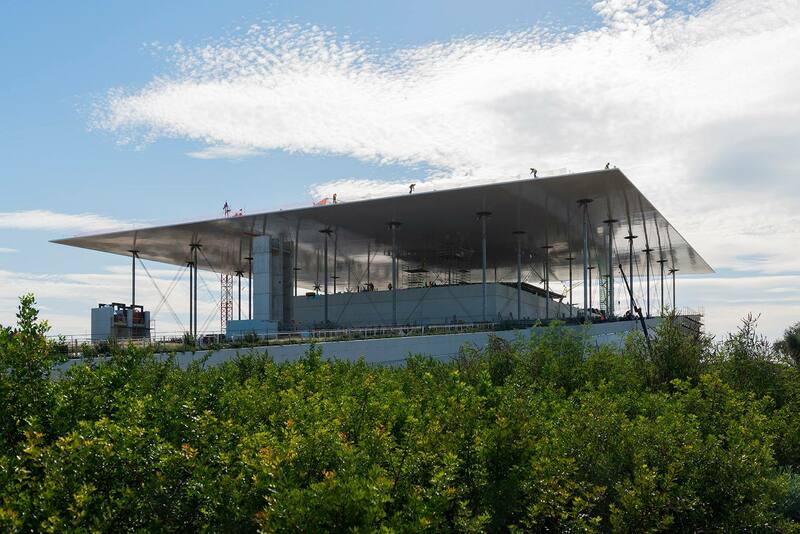 Although designed to appear light and airy, the canopy is 328-feet-square and 150-feet tall. Topped with photovoltaic cells, it will produce 2GWh of energy per year, fueling the opera house and the National Library of Greece. 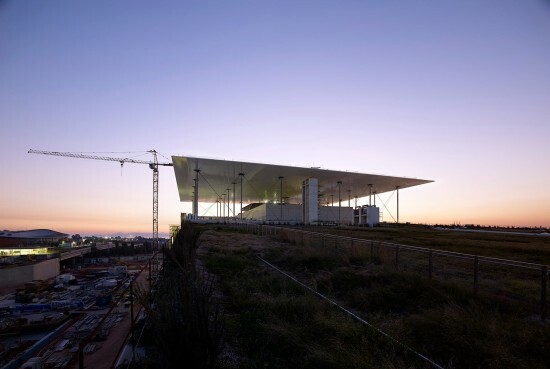 The Cultural Center includes the national library, opera house, canal, and 42-acre park south of Athens. The site was originally used for parking during the 2004 Olympics and once the project is completed, it will be turned over to the public. Total cost for the project is an estimated $831 million. Next steps include finishing the Lighthouse, the 9,700-square-foot glass room, and finalizing the flooring, facades, and ceilings. 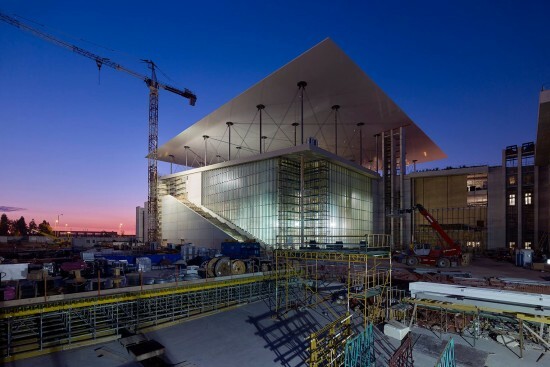 The rest of the SNFCC is expected to be complete in the first half of next year. SNFCC hopes that programming in the Visitor’s Center will engage the community and connect the public to artists in Greece and around the world. Already, it has hosted over 300 events and welcomed over 55,000 visitors. From now until Christmas, the center will be a Santa Workshop, and in February 2016 the center will relocate to a temporary building until construction is complete. To learn more about the cultural center, read our initial article on the project here.